The first of five BelugaXL aircraft to fly has landed at Toulouse-Blagnac, France local time after successfully completing its first flight lasting four hours and 11 minutes. The crew in the cockpit on board this flight comprised: Captain Christophe Cail, Co-Pilot Bernardo Saez-Benito Hernandez and Test-Flight Engineer Jean Michel Pin. Meanwhile, monitoring the aircraft systems and performance in real-time at the flight-test-engineer’s (FTE) station were Laurent Lapierre and Philippe Foucault. The aircraft will operate from 11 destinations as Airbus’ method of transporting large aircraft components. 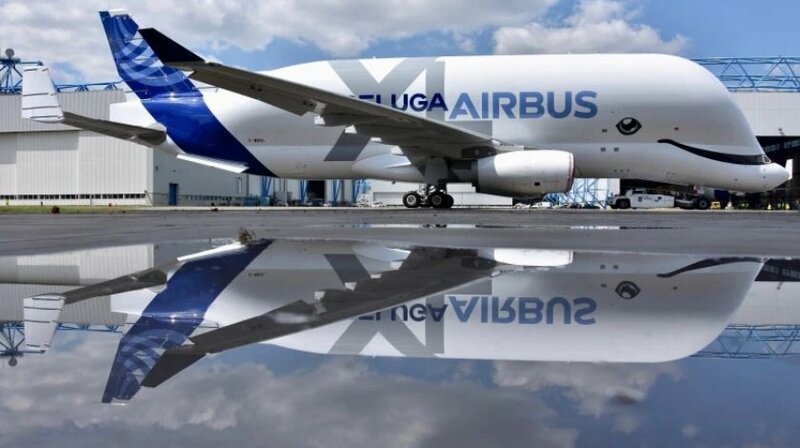 Based on an A330-200 Freighter, the BelugaXL is powered by Rolls Royce Trent 700 engines.